As we all know, it takes much more than talent to build a sustainable dance career. In fact, when you're building a dance career, you're building your own freelance business. While this may come as no surprise to you now, many dancers don't figure this out until they're in the thick of their career pursuit. There was a time when career insight wasn't as readily available as it is today. 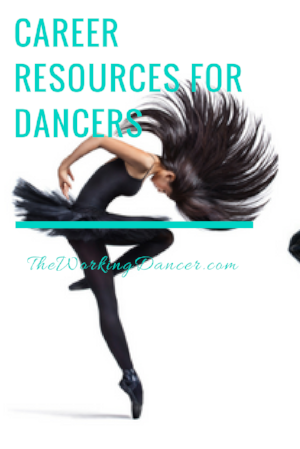 Fortunately, access to information about becoming a professional dancer has increased greatly with many organizations offering career resources to the dance community at large. Here's a list of several dance organizations that provide valuable resources to support, develop, or enhance your career. Like many of the organizations in this post, Dancers Alliance was created for dancer by dancers. They work to ensure that dancers and choreographers have and are informed of fair rates and working conditions, and they also represent dancers in union meetings. Dancers Alliance is supported by SAG-AFTRA, has chapters in Los Angeles, Miami, and Atlanta, and strives to support the dance community nationwide. For information on union and non-union rates, visit DancersAlliance.org. "Knowledge is power, and being a well-informed dancer is imperative in developing a career as a professional dancer/choreographer. Dancers Alliance is here to educate, uplift, and ignite change within the professional dance industry. Our goal is to improve rates and working conditions in our industry and we encourage all dancers to join the Dancers Alliance movement, stay connected, and know your worth." The Actors Fund is service organization that supports all performing arts and entertainment professionals. Specifically for dancers, they offer career counseling, scholarships and grants, and support for unemployment or injury. The Actors Fund has offices in both Los Angeles and New York and is also available to help dancers nationwide. "The Actors Fund is an invaluable resource to everyone in the dance community because we are focused on the resiliency and stability of the dancer during and post-career. We know that dance work is episodic and can be really up and down emotionally and financially, so our programs are designed with just that in mind. Did I mention these services are at no cost to the dancer and confidential?" NDEO's mission is to advance dance education centered in the arts. They offer resources and support for professional development, research, and more through their membership program, conferences, scholarships, journal, and online classes. "NDEO provides professional development, networking forums, honor societies, journals, research and advocacy tools for teachers, administrators and students in the field of dance arts education. Our members teach multiple dance genres in a variety of environments including, but not limited to, K-12 schools, dance studios, colleges and community centers. Join NDEO to advance your career and benefit your students. Become a part of a community that shares your passion for excellence in teaching the art of dance." If you've been in any dance studio or classroom for any amount of time, we're sure you're familiar with this organization. Dance Magazine is one of several publications of parent company Dance Media and shares current news and issues concerning the dance community including health, training, career tips, and more. "With our Career section, we're always thinking about the kinds of stories that will benefit dance artists the most—whether that's looking at gaps we see in the field, responding to current events and the ever-changing dance world, or just directing artists to other great resources that dance organizations provide." Beyond the Steps offers a range of services for performers in the entertainment industry. Created by a dancer, Beyond the Steps provides casting services as well as development for your professional materials including headshots, resumes, and even contracts. "Beyond the Steps is a valuable resource for the arts community because we are huge advocates of exponential growth and change. We want to assist you on your creative journey and see you develop into polished working professionals. Our ultimate goal is to help you become the best version of yourself." The Working Dancer is a career resource for aspiring and early career dancers. We offer development in the following key areas: professional, personal, entrepreneurship. Through our blog, podcast, professional development services, live events, and more, we educate dancers about developing a sustainable career. The Working Dancer is everything I was missing when I first started pursuing my dance career. It has all the insight and inspiration that I needed and wish I had. There's loads of advice from working dancers and tips that aren't always talked about in class. It's an extraordinary resource for the dance community!" Want more career insight like this? Then click the button below to join the movement, and you'll get weekly career tips, inspiration, freebies, and specials sent directly to your inbox.